A beautiful, on-trend bedhead shouldn’t be a luxury item. The finishing touch to your dream bedroom, Fantastic’s range of Aussie-made bedheads, available in your choice of over 100+ fabrics, are as pretty as they are affordable. Looking for something with extra storage? You’ll love our timber-look designs, ready to hold your favourite bedtime reads, photos and nick-nacks. At Fantastic, our Aussie-made range of freestanding bedheads are completely custom-made to suit your needs, taste and budget. Select your size and style, and then inject your own personality with your choice of over 100+ fabrics. Built to last, and surprisingly affordable, your bedhead is sure to pull focus as the star of your dream bedroom. Alternatively, if you’re after a timber-look finish or some additional storage, you’ll love our bedhead options from the functional and sleek Como range. Visit your local store or start your search for the perfect bedhead online today. Use the search filter to narrow down your results by size, colour or budget. When something catches your eye, you’ll find images and a detailed description of each bedhead, plus customer photos so you can see how it might look when set up at your place. The sizes of our bedheads vary depending on the bed size you’re looking to set it with. Whether you’re after a single, king single, double, queen or king size bedhead, we have something for you! Height-wise, they are often around 130-150cm, but double-check exact measurements under the detailed product description. 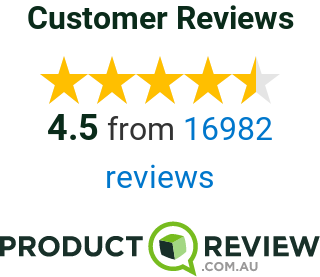 While it’s possible that we may have your bedhead choice in stock and ready to go, there may be a wait while we custom-make your bedhead from scratch, right here in Australia. We’ll keep you updated on its progress! In the meantime, don’t forget to pair your new bedhead with a bed base and mattress. Dream bedroom here you come!